Welcome! How was your flight? We are so happy you arrived safe in Antananarivo from your international flight. You may feel a little lost once here, but no worries: we will be there to welcome you at the airport and transfer you to your hotel. Do you want a piece of advice? Choose a light meal for dinner. You will feel more comfortable during your overnight stay at your hotel. Weren’t you excited this morning? You are about to live an adventure of a lifetime! This morning you will have a 1 hour flight to Diégo-Suarez (Antsiranana). 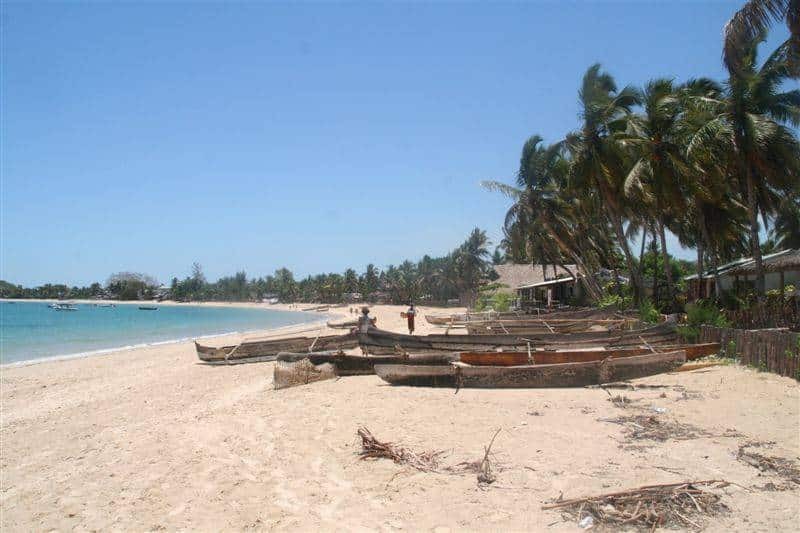 We will transfer you to the airport where you’ll take-off for the Northern part of Madagascar. Once in Diégo-Suarez, at the airport, one of our driver-guide will pick you and drive your first amazing discovery: the Red Tsingy. One hour of track from the main road will lead you to the site: a landscape of broad canyons reddish colors. Then we will hit the road to reach the National Road 6 to the Tsingy gateway in the Ankarana National Park. Then through a lateritic track for around 1 hour, we will reach Iharana Bush Camp where you will have overnight stay and dinner. Today we did almost 165km in 4 hours’ drive. So, take your time to walk for about 45mn to the top of the Tsingy to see an unequaled sunset. Let’s get real. Oh gosh, that’s real beauty. Feel happiness from your toes! We will explore the Tsingy in the morning! Such a stunning point! This place has a very high fauna diversity: lemurs, reptiles, birds and insects. What’s amazing is that the lookout area allows you to have a panoramic view of the lake, the camp and even the Mitsio archipelago on the horizon when the sky is clear! Our trail will end in the cave so-called “chameleon”. Discover other its spectacular geological formations. Do not bother yourself bringing headlamps, bottled water and first aid kit, they will be provided. In the afternoon, let’s walk around the massif to see local people way of life while admiring unique landscapes. Along the lake shore “Mahatsabory”, you will also come across breathtaking landscapes. Observe different kind of birds while crossing crop fields and meet villagers! Did you bring your camera to capture all those wonderful moments?! Today lunch and dinner will be taken at the camp, where you also settle tonight! LIVE AN EPIC MOMENT TODAY! 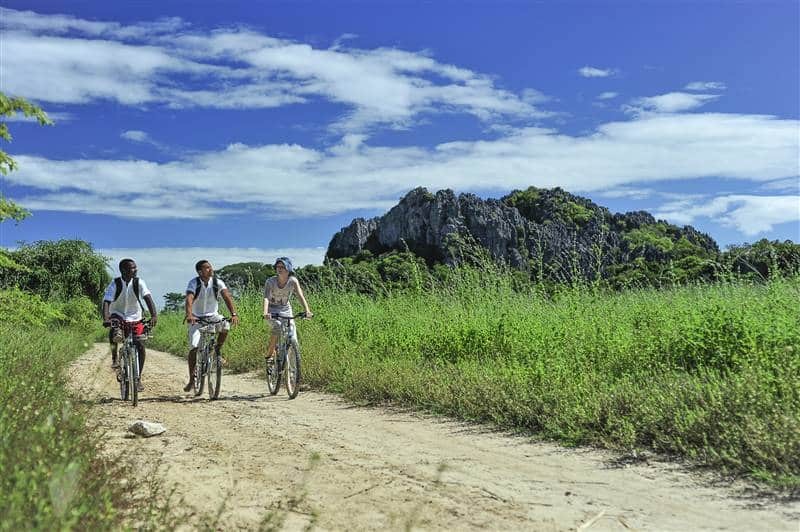 Enjoy bike riding that will take us to a beautiful bush landscape, it changes its colors depending on the season. 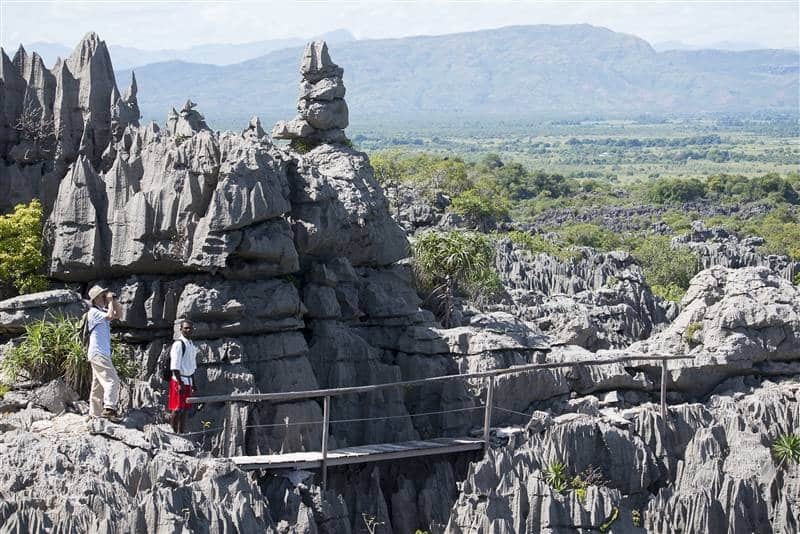 Along the ride, we will encounter Madagascar through the impressive Tsingy and the villagers! It will be a very enriching experience that will incite you to appreciate these lovable, friendly and very pleasant people. Such an amazing feeling! Have a good afternoon at the camp this very day and enjoy a wonderful sunset from the terrace of Iharana Bush Camp. Lunch and Dinner and overnight at your hotel – Iharana Bush Camp – today. Let’s kick it: 120km and almost 3h30 drive! We’re going to Ankify and join the National road 6! On the way we will stop at the very colorful and gorgeous market of Ambilobe located in the rich valley of the Mahavavy. Then we will lead you to Ambanja which lies in the valley of Sambirano. All the way long, admire the coffee and cocoa plantations and all around you! 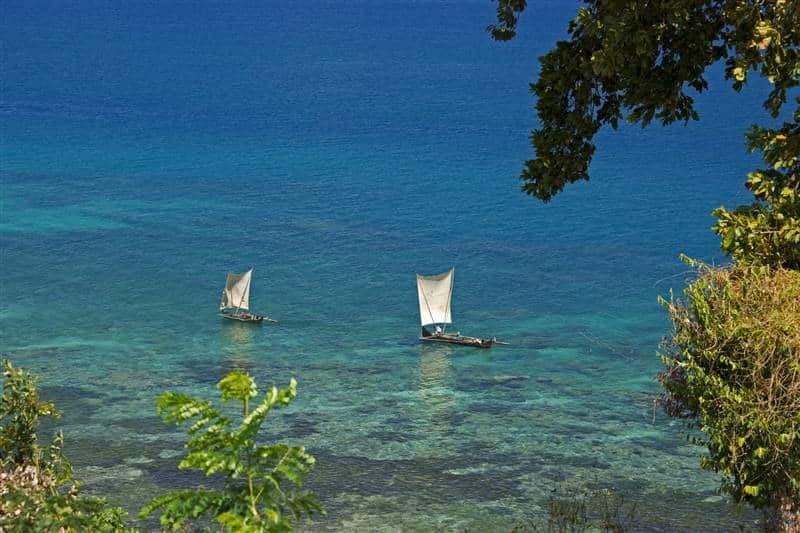 You are now about to arrive at one of the most extraordinary island in Madagascar. During your1 hour boat transfer to Nosy Komba, take your time to contemplate the beauty of the ocean, the green islets and the sunlight and fresh air on your skin! At your lodge: relax! Look out the window and admire this wonderful view. We hope you brought your hat and sunglasses, holidays are on! Try new meals on the menu of your hotel during lunch and dinner. Taste more of Madagascar. You will be more than satisfied after an overnight stay. DAY 6 to DAY 8: NOSY KOMBA, WE’RE READY! Extraordinary is the word that can describe Nosy Komba. It is a superb Island peaked at more than 620 m, and covered by a thick and dense rainforest. 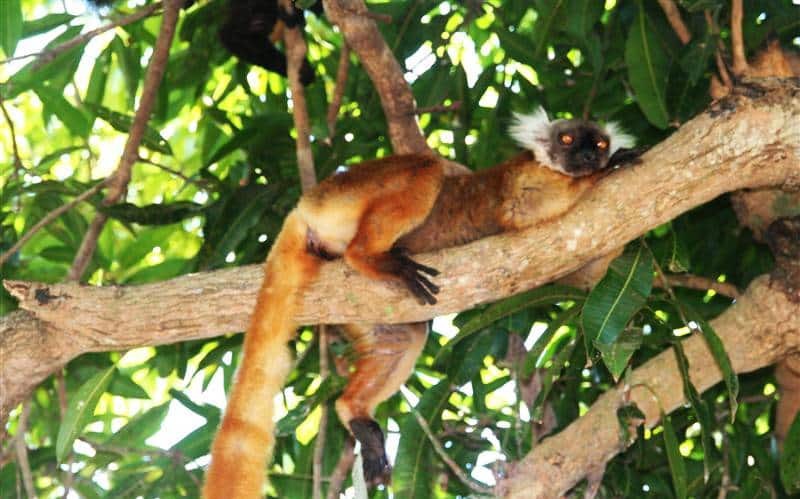 Renowned for its lemurs park (hence the name), but also for its small village of craftsmen: embroiders, wood carvers and fishermen who live mainly from tourism. Don’t worry about lunch or dinner, your hotel will take care of it. Take your time to choose various activities for these 3 days. The braver ones can book a beautiful hike from East to West (for 3 to 4hr), crossing the whole island with a superb point of view to the Summit. What’s really nice is that many excursions can be chosen onsite, like: scuba-diving or snorkeling, trips to Mitsio archipelago or Russian Bay, fishing. It is also possible to explore the nearby beaches. Please use your overnight stay at your hotel to rest. We’re going back to Antananarivo tomorrow. We are now on our way for a 30min boat transfer from Nosy Komba to Nosy Be. 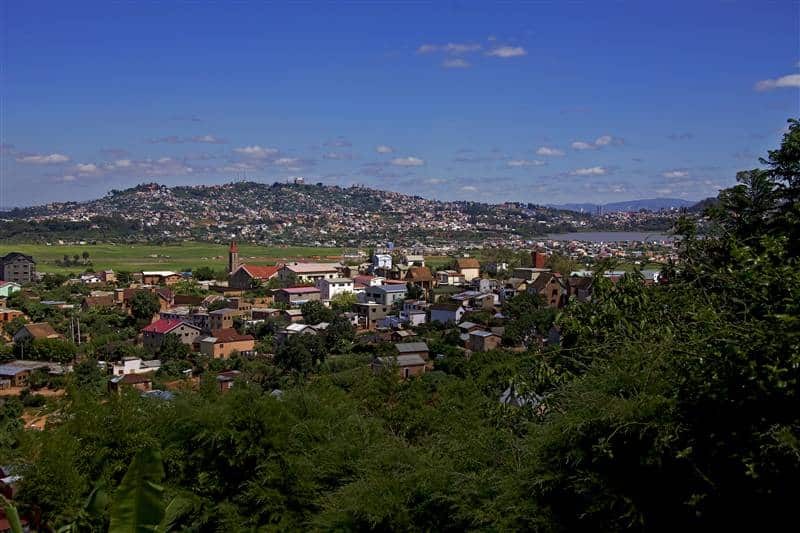 At the airport, depending on your schedule flight, you will take-off for a 1h flight to go back to Antananarivo, the capital city of Madagascar! We will be waiting for you there to drive you to your hotel where you will have dinner and an overnight stay! How do you feel this morning? Today, we will transfer you to the airport and you’ll take-off to your destination. Close your eyes. It’s wasn’t a dream! 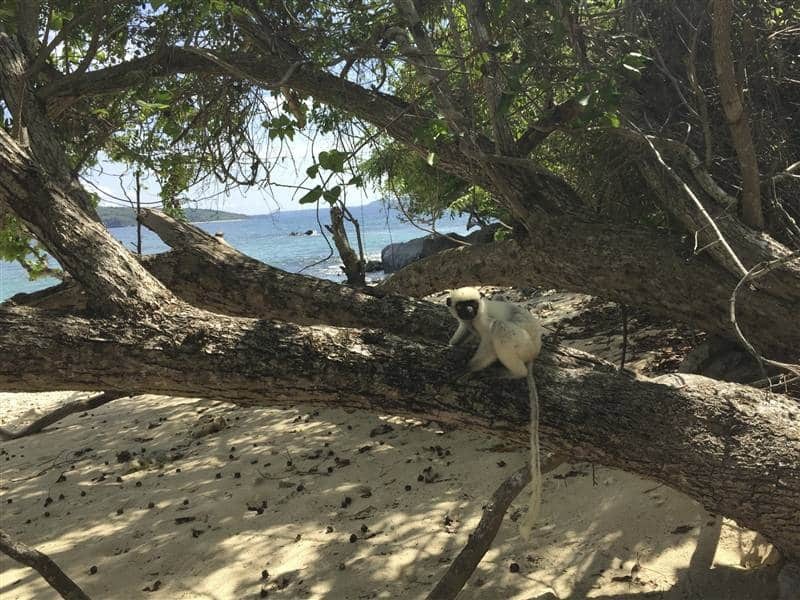 You’ve explored Madagascar! Did you bring an agenda with you? Take your time to read it! You got your footprints in Madagascar. We believe you will come back! Thank you for trusting us to color up your life. It is such a great privilege to know that you red all details of this tour ‘til the end. We are used to say that these are just words, but still you are the only one who can make them come true by coming here. As a receptive tour operator, we aim to be there for you. So if you want us to help you plan your future trip in Madagascar, please feel free to contact us! Just know that with us or not, we want you to encounter the best of Madagascar! The 4WD vehicle is obligatory for a tour in the northern part of the island. Moreover, it is the best means of transportation to travel through Madagascar. You will appreciate your stay at Iharana Bush Camp, an extraordinary authentic accommodation. Hiking on the rooftop of the Tsingy and having an "apero" on the Ambatomiloloha lookout with a panoramic view on the valley. Luxury experience stay at Tsara Komba Lodge: rare, stylish and high spirit. This is one is our favorite. A gem scattered on your way. Let’s look for it! Follow us! On this extraordinary tour, we will bring you to the famous Tsingy, the most spectacular geological formation in Madagascar. First gem: three nights at Iharana Bush Camp. WOW: you will truly love this place! Imagine a mixture of authentic ethnic design and ecological concept. Add some magic to this picture in your head: place it in front of a peaceful lake and a Tsingy massif. The set makes a perfect synergy with the nature! 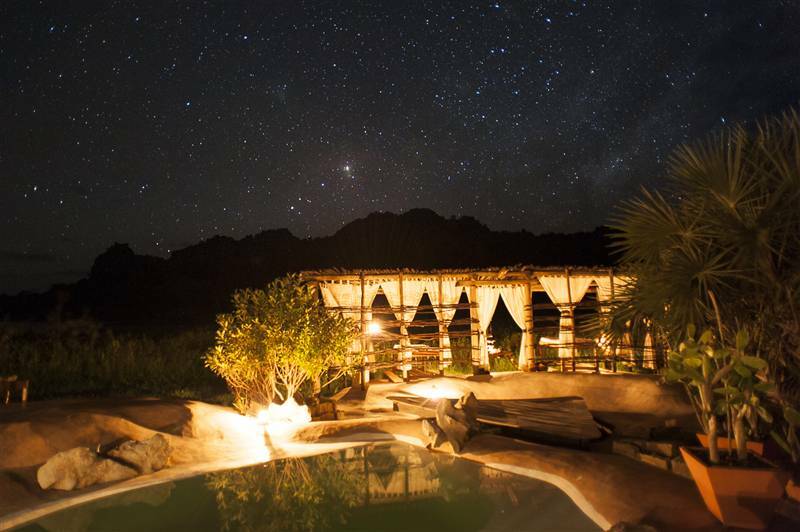 Hmmm... By coming at the Bush Camp you will enjoy a fantastic landscapes from the rooftop of the Tsingy, explore wonderful caves where live some strange wildlife. You will live it to its full during these three days! Then, to keep even greater memories from your trip in Madagascar. You will end the tour at Tsara Komba Lodge, a 4-star luxury hotel. With a rare authentic charm, and placed in perfect harmony with nature, you will delight in the area’s outstanding biodiversity. It combines: a stylish and exclusive ambience, an excellent Slow Food Cuisine, and tailored services and excursions. Most of all you will live in an atmosphere dominated by a commitment to comfortable luxury and ecology. Isn’t that a superb opportunity to catch? 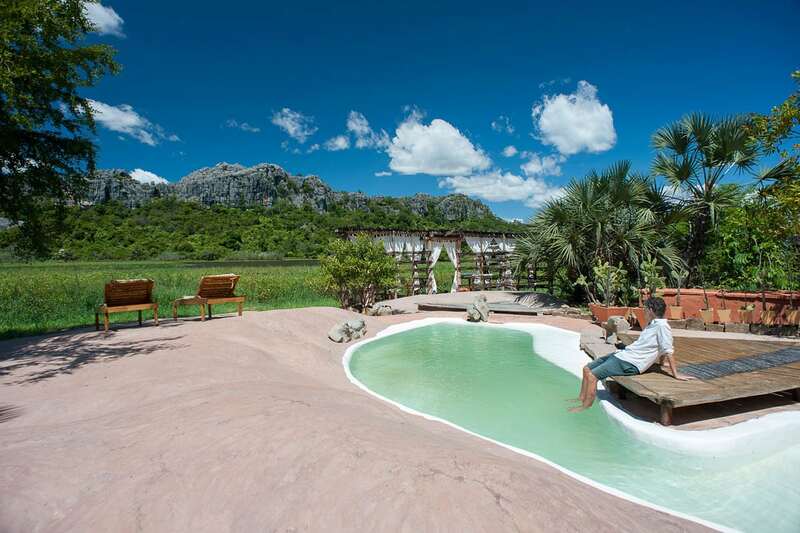 The treasure chest includes the tsingy, wildlife, beaches and luxurious accommodations: the gem placed on your way!